A colleague at the Lutheran Center related this story. An unchurched friend of hers was visiting and noticed her Advent calendar. “What is Advent?” she asked. A simple question. But my colleague soon discovered it wasn’t that easy to explain Advent to someone who had never heard of it, but who also had no frame of reference for it. My colleague talked about a season of hope, longing and preparation, about the coming of the Christ child. Noticing her friend’s puzzled look, she stopped short of talking about the eschatological and hermeneutical possibilities presented by the season. It’s not that my colleague lacks an understanding of Advent or isn’t herself a faithful person. Nor are her communication skills deficient—she is wicked bright and funny, and relates well to people. No. She had come face-to-face with the reality that a growing segment of our population has had little or no connection with the church or any other religious tradition. They don’t speak our language. They don’t know our stories. They don’t measure time the way we do—Advent, Christmas, Epiphany, Lent, Holy Week, Easter, Pentecost. They literally don’t know what we are talking about. You might have had a similar experience—not just an encounter with someone from another religious tradition, but with someone with no religious tradition. How do we talk to them? How do we tell them about the intimate, abiding, deep love that God has shown to us in Jesus? How do we even tell them about Jesus? How do we explain Jesus and the incarnation, the crucifixion and the resurrection? We know what we are talking about, but we can’t assume that others do. Many people don’t even know that they need to know Jesus—or that the Jesus they think they know isn’t the Jesus they need to know. I once asked a group of our pastors and deacons to explain the gospel in a tweet without using the words sin, grace or gospel. A tweet then was 140 characters—it’s now 280 characters, but I don’t think that would make the assignment any easier. Those of us (myself included) who have spent our lives in the church live in a kind of bubble. We do speak the same language—church speak. We know what we mean, we understand key phrases and metaphors. We know what makes sense to us. But for those who have either no experience with the church or a painful one, we speak an unintelligible language. So where do we start? I believe we should start from the conviction that Jesus has the words of eternal life, that he is the way to truth and hope and life. Can we even explain that to ourselves? Do we have the words that speak to our own hearts? Can we explain the Christian tradition to ourselves, and do we believe it? When we are able to confess, live and breathe that we live, move and have our being in God, we then need to find the language that speaks to those outside of the church bubble. We can’t cede the public space to the popular culture or to a distortion of the Christian message. It’s hard to take that both Harry Potter and the Marine Corps (I’m a huge fan of both) have a more compelling exposition of the gospel (“It’s all about love, Harry”) or of koinonia (“Serving something greater than themselves”). We are missionaries again. Without diluting the gospel or in any way pandering for popularity, it falls to us to commend the faith within us clearly and genuinely. I know we stake our lives on the truth of Jesus’ death and resurrection. This brings freedom and life to us so we can invite others into God’s freedom and life. 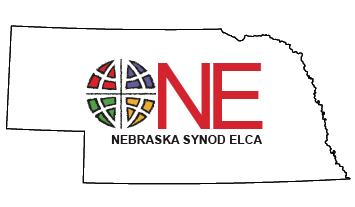 A monthly message from the presiding bishop of the Evangelical Lutheran Church in America. 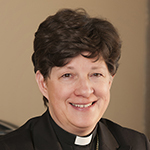 Her email address: bishop@elca.org. This article originally appeared in Living Lutheran’s January 2018 issue. Reprinted with permission.